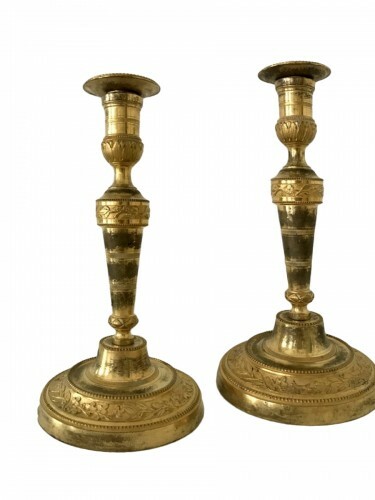 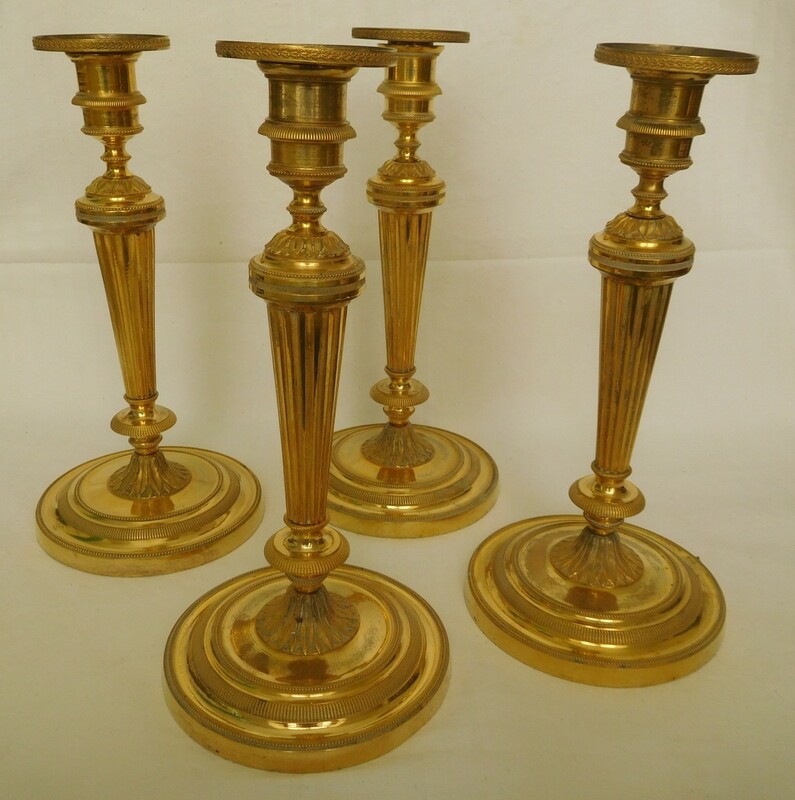 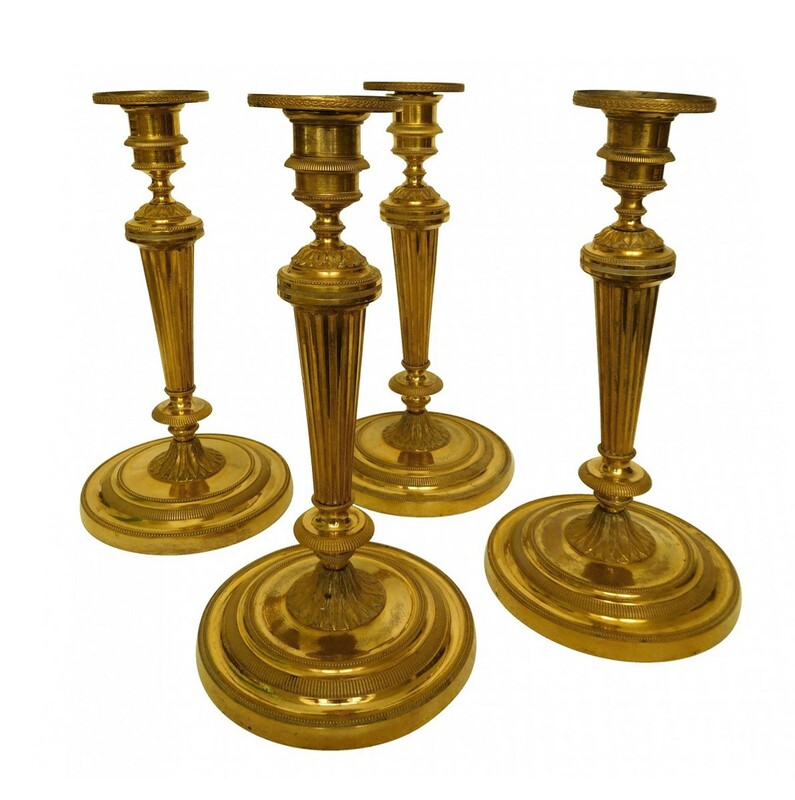 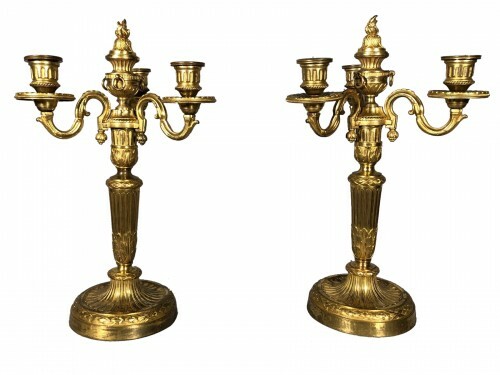 Set of 4 identical Louis XVI ormolu candlesticks, 18th century. 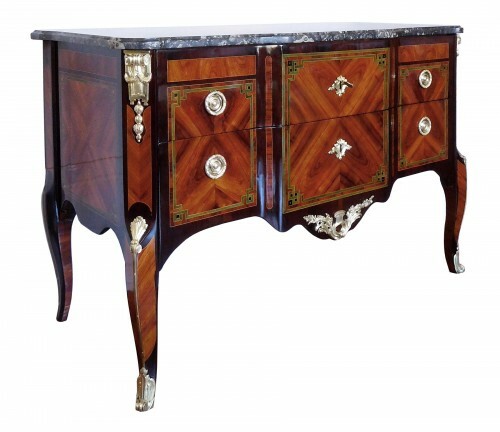 Beautiful model ornamented with ribbons, rows of pearls, fine gold gilt, matt and shiny finish. 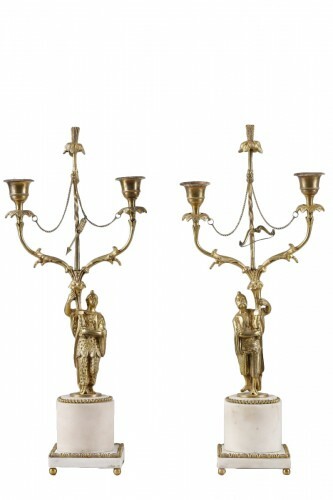 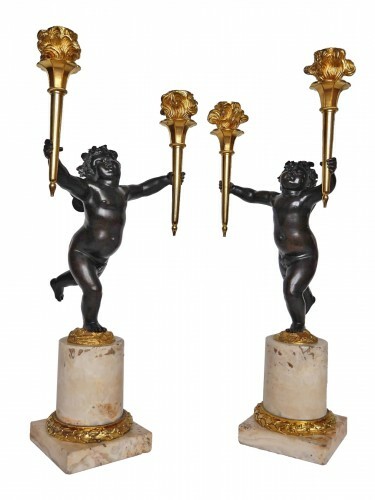 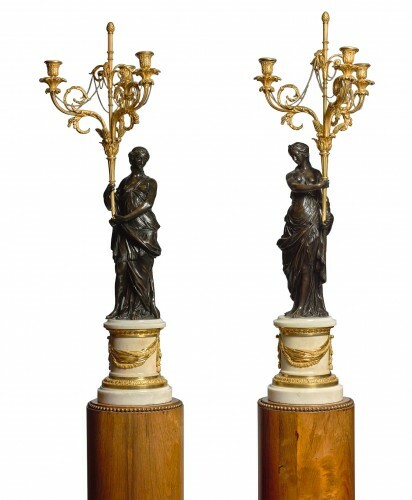 Our candlesticks are identical to the model exposed at Castle of Fontainebleau. 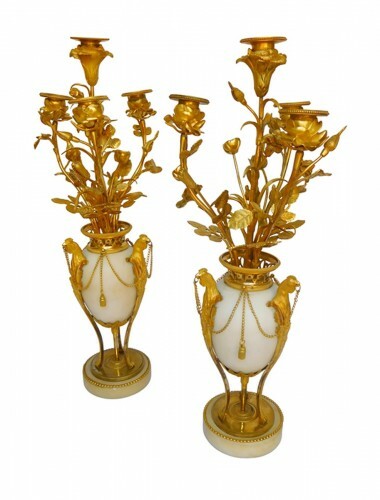 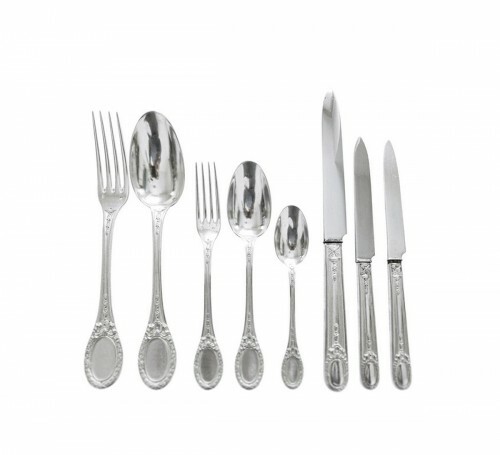 Ideal to place in a large living room or on a pair of pieces of furniture. 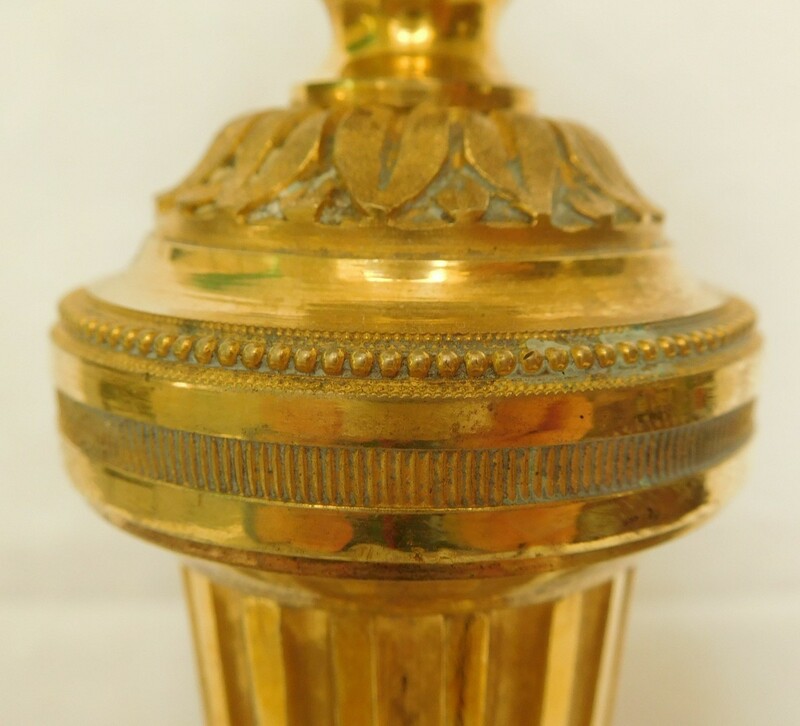 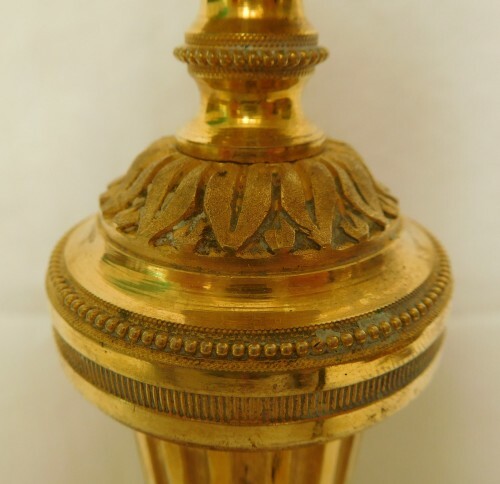 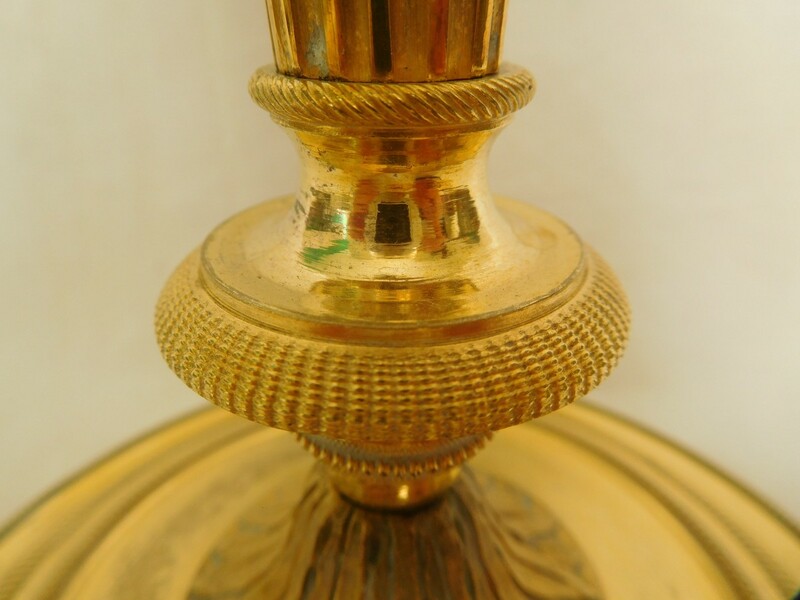 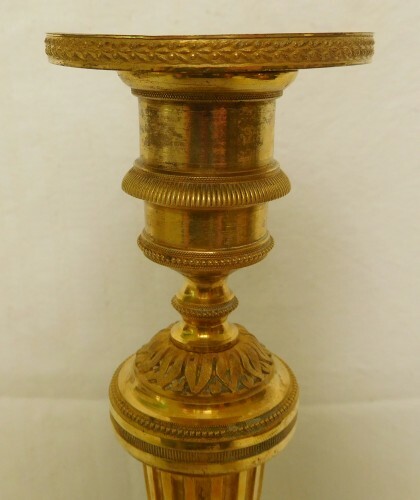 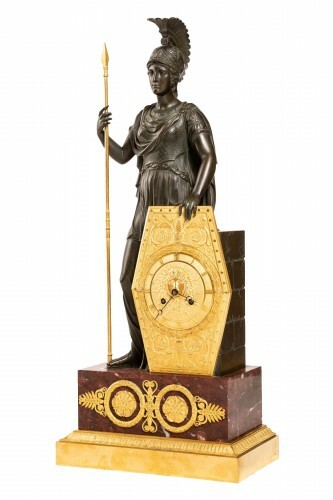 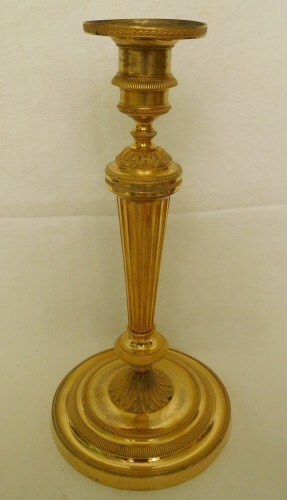 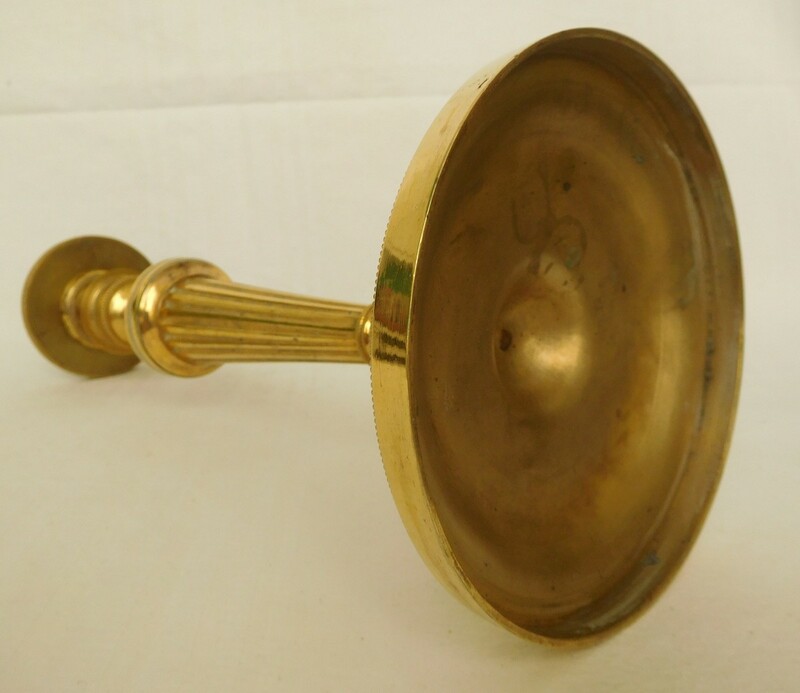 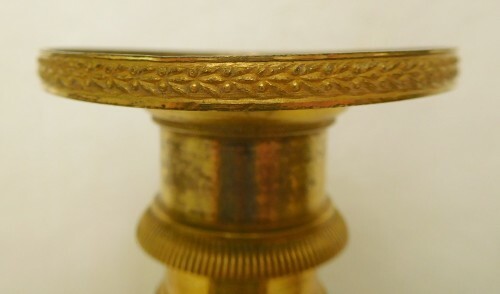 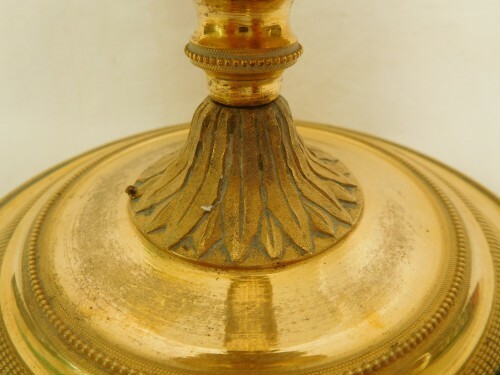 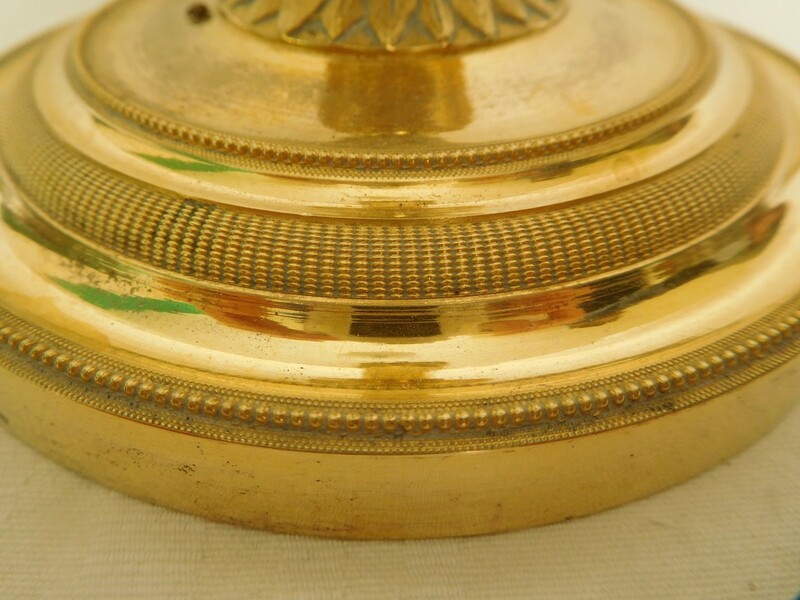 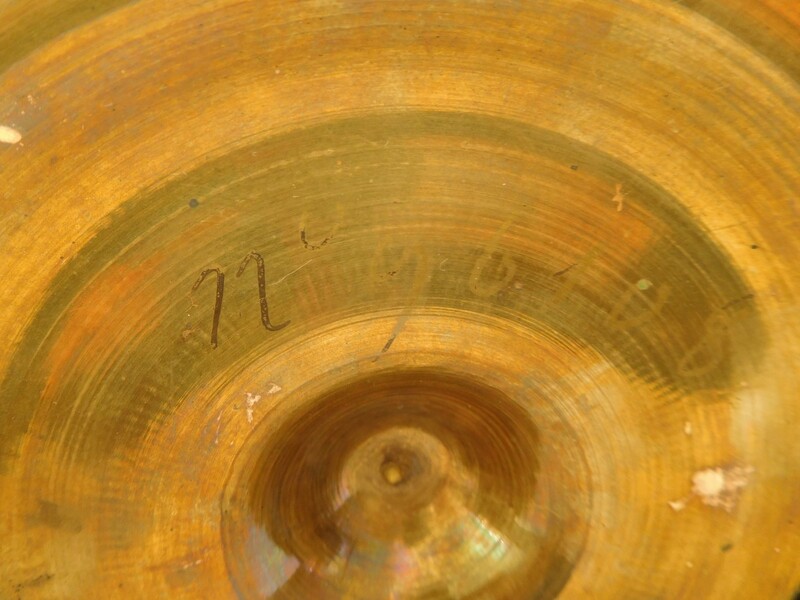 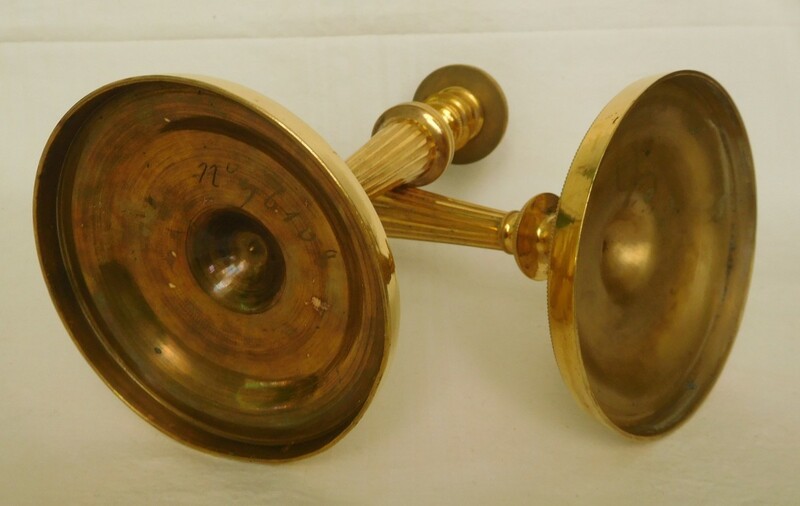 Very good condition, complete, gilt is well preserved (slightly worn out on the base).